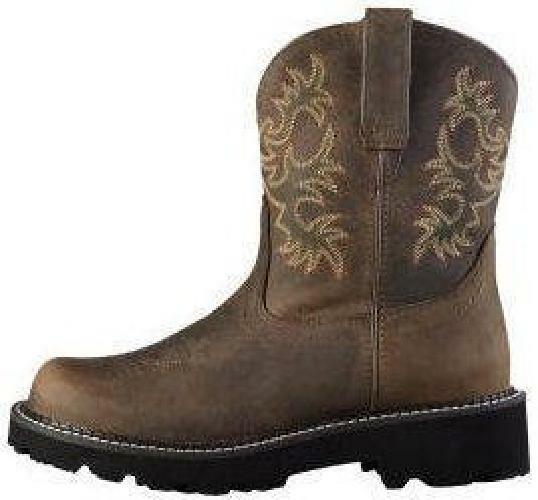 I have a pair of size 10 Ariat Womens Original Western Cowgirl boots for sale for $75 obo. They are distressed brown in color and their style number is xxxxxxxx. I have only worn them for work one time, other than that I have only worn them to go out in just a handful of times. They are still in great condition and I may be willing to accept trades depending on what you have. I just hate seein such a good boot set around and go to waste. If you are interested text or call me at 812-865-xxxx or 812-865-xxxx. Thanks!